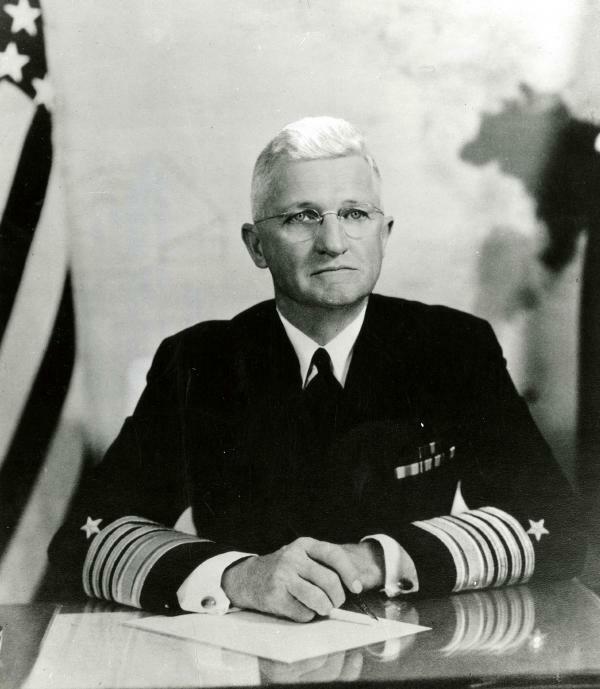 Admiral Harold R. Stark, circa 1945. During World War II, Pennsylvania was represented in the U.S. Navy by five admirals, seven vice admirals, seventeen rear admirals, and four commodores. The Chief of Naval Operations since 1939, Admiral Harold Rainsford Stark (1880-1972) oversaw the great expansion of the Navy during 1940-41 and the undeclared war against German submarines in the Atlantic. In 1942, he was sent to England in to become Commander of U.S. Naval Forces in Europe. There, he supervised the U.S. Navy's role in the Normandy invasion of June 1944, and the Allied invasion of northwest Europe. The Normandy invasion was the largest naval invasion in history, with nearly three million troops crossing the English Channel to regain an Allied foothold in Europe. Born in Wilkes-Barre, PA, Stark died at the age of 92 in 1972.